Tis' the season to watch Christmas movies! All December long I will be watching nothing but seasonal movies & specials. So, here is my list of what I have. I will not manage to watch all of them. Those in bold are ones I have not seen. I will try to get to at least a couple of them. If you like Disney's short cartoons, these are all cute and fun. There is 1 Mickey, 1 Donald, 2 Donald & Chip & Dale, 2 Pluto and 1 Silly Symphony, so a little bit for everyone. Donald is my mom's favorite Disney character and the three shorts he appears in ("The Clock Watcher," "Corn Chips" and "Toy Tinkers") are easily the funniest on the DVD. Pluto's two cartoons are also funny, while Mickey's is heartwarming. The silly symphony, "Peculiar Penguins," is a love story, though I felt sorry for the shark at the end with the boulder in his tummy. I'm sure it's because I like sharks a lot. The cute little kitten in "Lend a Paw" reminded us of our cat, if he was a kitten, for the coloring is the same. And man, that kitten is cuuuute! 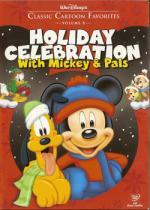 Recommended for anyone who likes cartoons, and wants some holiday themed ones on a single disc. I'm sure I have most of these in my Treasures sets, but it's easier to watch them at this time of year this way. Love Actually is a guilty pleasure of many people methinks. I remember telling the lads I knock about with that I had secretly really enjoyed it, and it turned out they all did also. Great cast, linking the stories up really well. I will have to add Love Actually to my thread. I didn't realize (or didn't remember from trailer) that this is a Christmas movie. I hope you have more luck then I have watching some this month. so far I just can't push myself into watching much of anything. I'll definitely try to get to Love Actually since you guys recommend it. 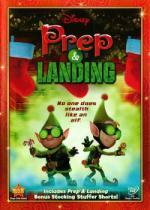 The main cartoon is about two elves, Wayne and Lanny, whose job is to prepare houses for the arrival of Santa. Wayne's a bit burnt out, though. He's been doing the job for over 200 years. Will Lanny's enthusiasm jump start any more love for the job in Wayne? Or will the child whose house they're assigned to have his Christmas visit from Santa canceled? This was really, really cute! The animation is all CGI, like almost anything coming out these days, but it was actually well done. The whole cartoon is like a parody of Mission Impossible, with the stealthy elves and their high tech gadgetry. I borrowed this from the store after we got it yesterday - and I'm keeping it! It's charming and funny. If you pick it up, be sure to watch all the bonus shorts that are in the special features - there's a second Wayne & Lanny cartoon, a very short cartoon featuring Tiny, a set of Kringle Academy training videos (my mom about fell off the couch laughing) and a North Pole news program & commercials. They're all worth watching and extend the value of the otherwise 22 minute main short. I never seen more then the trailer myself. Not a movie at all, but a Christmas concert! The lovely ladies of Celtic Woman bring you a selection of traditional and modern carols, sung with clear, beautiful voices and backed by an orchestra and choir. Do you enjoy traditional Christmas music? If so, you will enjoy this DVD. The ladies of Celtic Woman have beautiful voices and give a wonderful performance of carols. Do you find traditional Christmas music overdone and sappy? If so, skip this DVD. Pete, you can skip it too. Cricket Crocket befriends a toymaker and his daughter. At first their lives together are happy, but tragedy strikes and the family goes through hard times. When a chance comes for happiness again, it's Crocket who saves the day. I find this melodramatic Christmas fairy-tale to be cute and charming. It's not as well-known (or as well done) as Rankin/Bass's stop-motion Christmas specials, but the traditional cel animation is decent and the character designs are pleasant. It's loosely based on a story by Dickens, and you should keep both words (loosely and Dickens) in mind when watching. Cricket on the Hearth generally feels more dated than most of Rankin/Bass's other Christmas specials. Perhaps it's the slow pace and the style of the animation, which very much has a late 60's/early 70's look. Perhaps it's the musical numbers, which look very psychedelic and have that singer-songwriter sound popular at the time (think James Taylor meets acid flashback). Or perhaps it's the scene where the evil henchmen get bumped off by another nefarious character. As an aside - this seems to be the scene some other reviewers online object to. One reviewer on Amazon even complains because they left the scene in and didn't cut it. To which I say - go Sony Wonder! I hate censorship of works in the name of politically-correct comfort. I'm glad Cricket is still intact! While it doesn't seem to have the timelessness of specials like Rudolph, I still enjoy Cricket quite a lot both for itself as a charming cartoon and for the feeling of nostalgia I get for the time when I was a kid - even though I didn't watch this as a child. It just has that feel to it. Cricket won't hold up for those weaned on frenetic modern cartoons, and there are a lot of musical numbers (beware Pete!). But if you are a fan of Rankin/Bass (which I am) or just like cartoons from the 60's and 70's you should enjoy this little cartoon. Give it a try - I see it all the time at Big Lots for anywhere from $3 to $5. "All the Whos down in Whoville liked Christmas a lot. 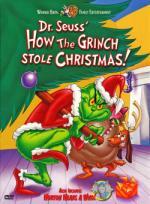 But the Grinch, who lived just north of Whoville, did not." A seasonal classic, this is one of five Christmas stories that are in the "it wouldn't feel right without it" category. * This cartoon is practically perfect in every way, from Boris Karloff's masterful voice, to the devilish grin on the Grinch's face, to Thurl Ravenscroft's "You're a Mean One, Mr. Grinch," to the sweetness of Cindy-Lou Who, to the very put-upon Max who still loves his grumpy master. If you don't like this cartoon you have no soul. If you haven't seen it ... where is that cave you're living in? On Christmas night Clara is granted a beautiful dream, filled with menacing mice, dancing faeries, and a handsome nutcracker prince. I got this production as part of a cheap public domain DVD set, AMC: Holiday Classics, so I wasn't surprised by the picture quality being something that could use improvement. The performance was put on by the Ballet of the Slovak National Theatre and the Children of the Dance Conservatory Bratislava, with Nora Gallovicova as Clara and Jozef Dolinsky as the Nutcracker Prince. Haven't heard of them? Don't worry, I haven't either. This is one of three performances of The Nutcracker that I have on DVD, so I'm spoiled. The dancing is lovely and the performances good, especially Gallovicova and Dolinsky. The interpretation is straightforward, but the featuring of the children in the ballet is a darling touch. I especially liked that they had a young girl playing Clara at the beginning of the ballet, and they had a clever transformation sequence to bring in Gallovicova and Dolinsky. But as I said, I'm spoiled - the other productions I have feature Mikhail Baryshnikov or Rudolf Nureyev, and competent as Dolinsky is, he's no Baryshnikov or Nureyev. I'm going to see our local Louisville Ballet perform this ballet live next weekend, and I expect to see as good a production there. If you're not a ballet aficionado, this is a lovely performance of the Nutcracker and you can get it really cheap, either with this set or in the edition whose cover I'm featuring above. If you are a ballet lover you likely already have better performances in your library, but it's worth seeing at least once. Personally, it isn't the holiday season without seeing some performance of this ballet, and this does the trick better than adequately, if not with the magnificence of the other two I have. When a young boy doubts the existence of Santa Claus, a train arrives at his house to take him on a magical journey to the North Pole, to show him the true meaning of the season, and that believing is seeing. The animation falls into two categories: absolutely stunning visuals and somewhat off-looking people. I expect the people problem is because of the limits of early mocap, and I find that each year I watch the film I notice less and less that the people don't move right. The environment, however, is brilliantly realized and absolutely magnificent. 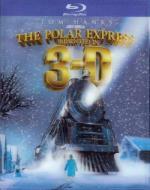 When we saw this at the IMAX in 3D, the sequences where the train goes downhill on the tracks are fabulous. While there's probably too much music for Pete, I can't think of anyone else I couldn't recommend this film to. Frosty the Snowman was a jolly happy soul. You know the story. Another classic Christmas cartoon, as perfect and timeless this year as it has been every year. There's no snow outside (thank you climate change) but there's always snow on the telly with Frosty. It's a simple, short cartoon that follows the song. Frosty and Karen are sweet, Hocus is still my favorite character, and Professor Hinkle is still as bumbling as he was when I was kid. It just isn't the season without him. Rudolph the red-nosed reindeer had a very shiny nose. Again, you know the story. THE Christmas special of our family. This was the one that we looked forward to every year, paging through the TV Guide to see when it would come on. It just isn't December without this adorable animagic special. 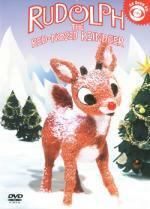 Rudolph, Hermie and Yukon are still looked forward to, like the appearance of old friends. I noticed a continuity error this year - at the end, Santa flies off with the sleigh pulled by seven reindeer, rather than nine. Funny how I've never noticed that before. Probably because it's such a wonderful seasonal classic. The 1951 version of Dickens' famous tale of the hard-hearted Ebenezer Scrooge, and the ghosts who seek his redemption. This is, IMO, the finest film version of a much-filmed story. 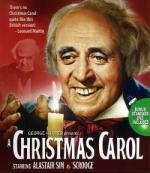 Alastair Sim is magnificent as Scrooge. He really embodies the character as I've always imagined him from Dickens story. I've seen other performances of Scrooge, some quite fine and some not as much, but no actor has yet to compare to Sim for me as the perfect portrayal of Scrooge. From the hard, miserable miser at the beginning through the changing of his character from his interactions with the ghosts, to the final happy, joyful Scrooge of the end, Sim is marvelous and believable throughout the film and a joy to watch. The rest of the cast supports him very well, all of them creating interesting characters, even in the smallest of roles. The atmosphere is also really wonderful, as it brings out not only the Christmas cheer and redemption of Scrooge, but also the horror in the story. In some versions you don't get the sense that this is also a ghost story, and that the ghosts, along with being helpful and concerned for Scrooge, are also very frightening - and not just the final spirit, but all of them. If you haven't seen this version, and you enjoy Dickens classic tale, this is highly recommended.